Baking books are hugely popular at the moment and the shelves in the cookbook section of the bookshop seem to be creaking with the weight of them. I'm not complaining though, being a baking fan, I adore them. 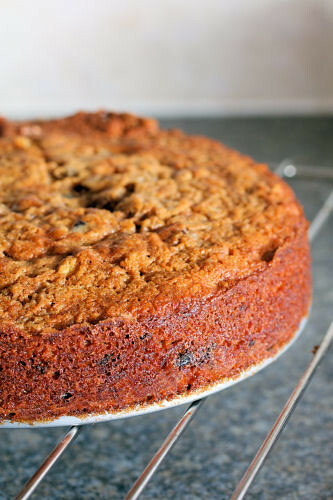 When I was sent a review copy of the latest one to hit the shelves, British Baking by Oliver Peyton (Peyton & Byrne) I was hoping that there would be some new, different baking recipes to try, and there was! 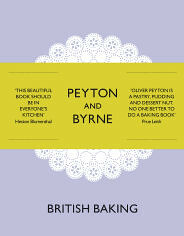 Oliver Peyton runs four bakeries in London with his three sisters, and they operate under the banner of Peyton and Byrne, named in honour of their parents Mary Byrne and Patrick Peyton. The book is not a historic book, it's more a collection of Oliver's experiences through the years and you can tell how much love has gone into the recipes. You will find all the old favourites in there, Bakewell tart, Victoria sponge, lemon meringue pie and custard tart for example, but there are plenty of hidden gems too. These include Garibaldi biscuits, Cornish saffron cake, ginger & black treacle bread, strawberry jam roly poly and marshmallow teacakes. There are over 120 mouth-watering recipes to choose from and nearly all are accompanied with glorious full page photographs. There is a chapter on techniques & equipment - with the basic information you need to make the perfect cake or pastry. The recipe chapters cover biscuits, cakes, fairy cakes & icings, fruity cakes, tarts & pies, puddings, breakfast goods, a cup of tea & a bun, plus a chapter on special occasions. 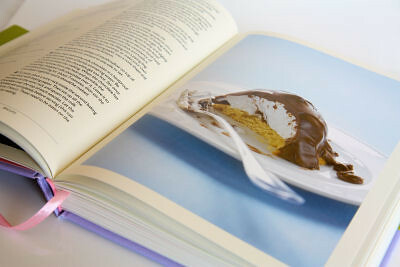 At the back of the book is a very useful section on the basics, covering pastry, jam, meringues etc. Honey in icing is a big fat YES! 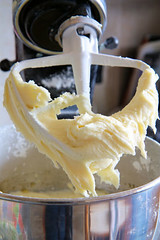 The recipes from British Baking are nicely layed out, clearly written and easy to follow with numbered stages. I made two recipes and both turned out beautifully. 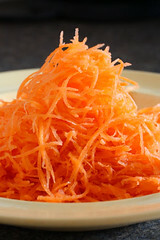 The first was the 'Carrot Cake with Honey Cream Cheese Icing', on page 64. 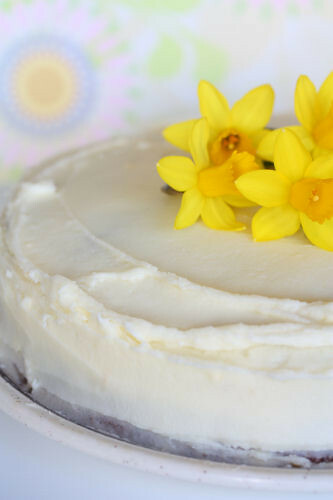 Instead of cream cheese I used mascarpone cheese for the icing (page 106), with the addition of honey it was sublime! The other recipe was the 'Lemon Curd Swiss Roll', page 84, a light and airy sponge with a rich creamy lemon curd, it was polished off in no time. Easy to follow recipes makes this book perfect for both beginner and experienced bakers. It is one of those books that you can just enjoy flipping through the pages and drooling over the photographs. A must have for keen home cooks. The book can be bought directly from Random House, or from Amazon. Looks like a great book - love the Swiss roll! I shall have to look out for this book. 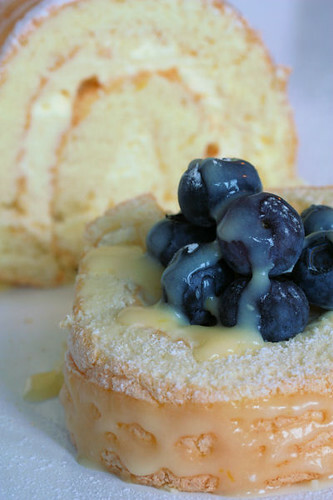 The lemon curd swiss roll looks wonderful topped with those blueberries. 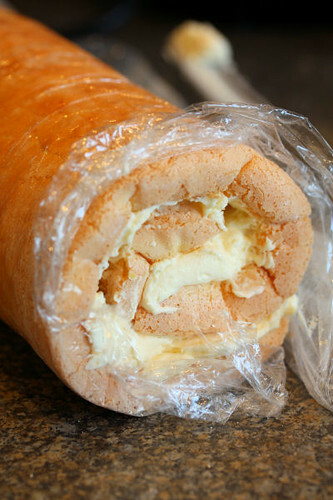 Ohhh those marshmallow tea cakes have me itching to get into the kitchen and your lemon curl swiss roll ... to die for! Of course on a practical level I'm well out of the baking zone for several months more until I can walk again properly, but this is going onto my wish-list of books for future reference and use. Another baking book to covet now. I do like a page marker in a book - why don't more of them have them I wonder. 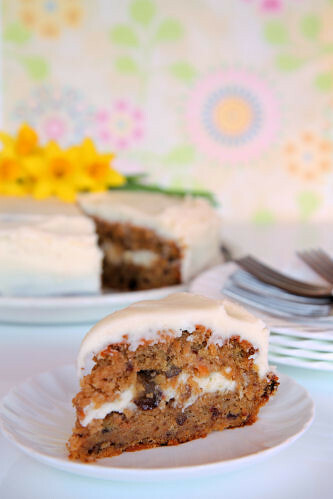 Carrot icing sounds really interesting and I bowled over by your perfect Swiss roll. I already have several baking books but I am really liking the sound of this one! It sounds like its been well thought out with the guidance etc and both of your bakes look delicious, especially the carrot cake with the frosting! OK I need this book now! The carrot cake and swiss roll look so yummylicious. Five Minute Bread - Yes, Really!